A Yard Sale on Steroids! Come and find collectible treasures, functional pieces, garden art, and just plain junque you can’t live without! 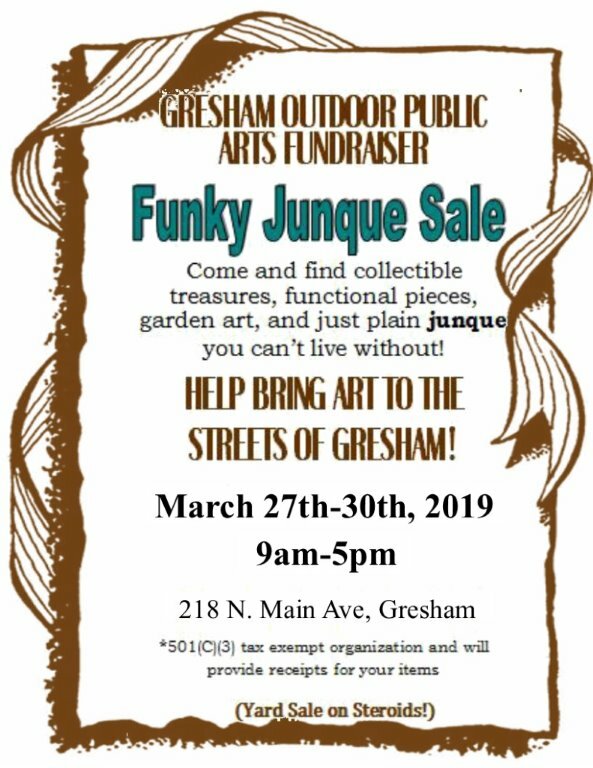 Help Bring Art to the Streets of Gresham March 27-30 2019 9 am to 5 pm 218 N Main Ave Gresham.